Peonies are beautiful flowers that have long been symbols of female fertility, which makes a bouquet of peonies a perfect floral gift for a friend or loved one who is expecting a child or has just had a baby. The flowers are also a sign of peace, which means that getting a large peony arrangement could be a beautiful way to make up with a friend or loved one after a disagreement. Of course, you can also use peonies to make a floral arrangement for your dinner table or to create a customized floral decoration for your bedroom. Here are some tips for picking the prettiest blooms for your floral arrangement, as well as suggestions on how to pair peonies with other flowers. When choosing garden peonies, make sure the flowers have had full sunlight for at least six months before being picked. This will increase the chances that the peony will thrive longer when you use it in a bouquet. These flowers are also stronger and will be more resistant to pests and insects, which is especially important if you’re using the bouquet for an outdoor celebration. If you’re choosing from Itoh peonies, these flowers need dappled sunlight to develop well, so be sure to keep the bouquet away from direct sunlight once you get it home. If you’re getting flower cuttings so you can grow peonies at home, be sure to get natural cuttings since these are easier to grow and will yield healthier flowers. Tissue-cultured cuttings, such as the ones used for Itoh peonies, are available as well, but these flowers can be difficult to grow and maintain unless you have extensive gardening experience. Reach out to Karen’s Flowers about the cuttings that would be best for you based on the type of soil you have. When you’re looking for the prettiest peonies, you should also know the meaning of the colours. For instance, if you’re giving the floral arrangement to an expectant or new mother, white peonies are a great choice, since the colour symbolizes innocence and newness. Or, you can choose light purple, since the colour is soft and indicates the gentle nature of a baby. But, it also symbolizes that a little princess/prince has entered the world. However, if you’re giving the flowers to a loved one as an apology, you may want to choose orange peonies, since this is the colour of enthusiasm and can show you’re ready to improve the relationship. Or you can select yellow, since this is a colour that symbolizes friendship. Now that you know how to choose high-quality blooms peonies, you should get some information on the colours that are available to you. These flowers typically grow in nearly every colour but blue, but you can find peonies that are a deep lavender colour that is close to blue if you’re searching for this shade to match a home décor scheme. Bright pink variations are easy to find at floral shops, and there are several pastel shades of peonies to choose from. There are two-toned peonies to select from as well, such as white peonies with a red trim. The colour of the flowers fade as they age, and if a peony was lightly coloured, it will turn white before it wilts completely. 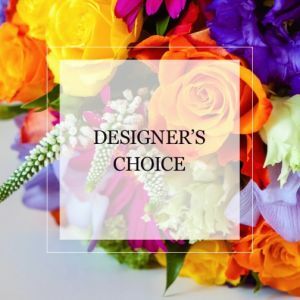 When you see that the hue of the blooms is getting lighter and you enjoy having a fresh-cut bouquet in your home often, it’s time to order them again.